A stunning ornate gold side table. 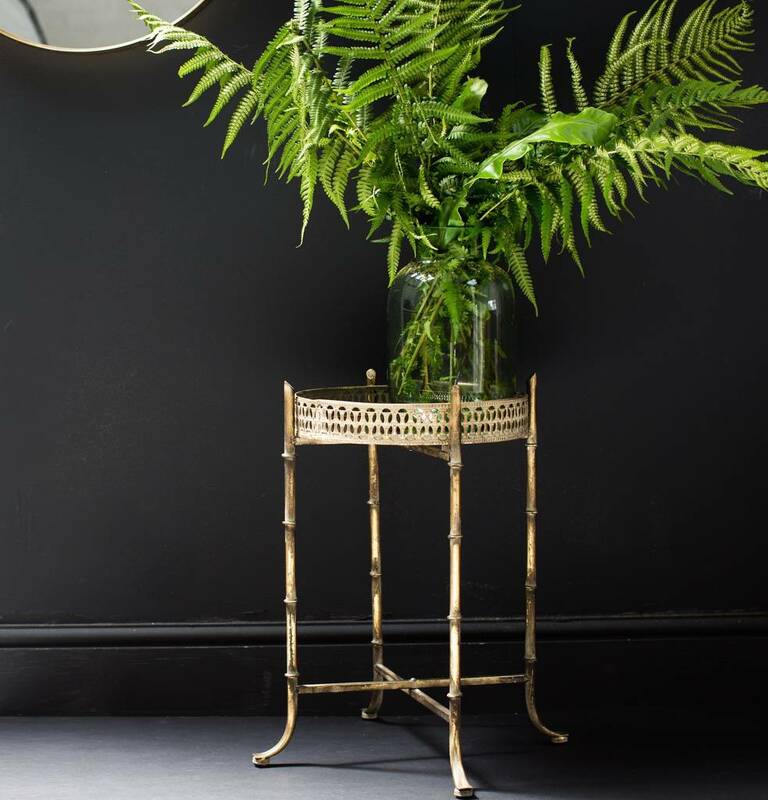 This stunning ornate gold tray table would make an elegant update to any home. With a distressed finish, this table also adds a touch of vintage glamour to any room in your house, it is the perfect size to display a plant or rest your coffee on a relaxing Sunday morning, would also be perfect for displaying a decanter and glasses or cocktail set.